There was a heady and unnerving buzz ringing in my head when leaving the Commons chamber after this week’s Budget statement. Initially I suspected the halibut served up in the Press Gallery canteen may have been a little gammy. But after consultation with others it emerged that something altogether more surprising had occurred – we had been invigorated by the Budget. In the old days lobby journalists took bets on which MP would nod off first as Alistair Darling trudged through his colourless dialogue – usually one whom had recently partaken in a robust lunch. 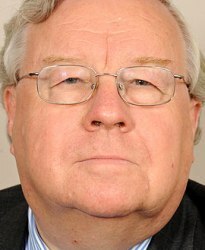 I must admit missing watching the rotund Sir Patrick Cormack MP fighting to stay awake – his battle for sleep used to leave his head amusingly wobbling about like a balloon filled with water. Indeed Darling’s prowess at being able to bore grown men into sleep was legendary and a powerful tool for hiding bad news when mixed with the opaque prose of Treasury documents. 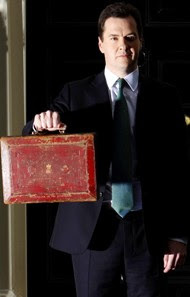 Whatever your political views on George Osborne’s first budget statement, however, there was no getting round the fact that the event this week was devilishly exciting. The Commons came alive in a fest of partisan politics – even the new MPs who’ve been loath to seem like the old bunch could not help but heckle. Newbie MPs have been trying to show they’re not like the harrumphing, shouting members of pre-coalition politics but the heat of a passionate Budget debate broke them. Despite the Deputy Speaker trying to calm the House down and saying that the public did not appreciate the noise, this was the Commons recapturing some of the drama which it lost towards the end of the last Parliament. Nottingham East MP Chris Leslie is managing to speak an awful lot in all sorts of Commons debates. Leslie is a former minister who used to be MP for Shipley before getting voted out in 2005, only to return as a Nottingham MP in 2010. In fact he's proved so effective at catching the Speaker's eye – he seems to have stood up to speak in debates every day this week – that some other members are getting jealous. One particularly frustrated Labour MP suggested to me that if “that Leslie” was called to speak before him one more time, he would "nail the honourable member’s knees to the bench". And people say Labour isn’t progressive anymore. 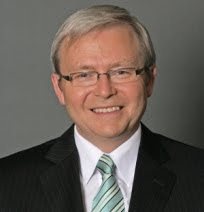 I just need to mention in passing the stunning downfall of Australian Prime Minister Kevin Rudd. Not so long ago Rudd was the most popular Aussie Prime Minister ever, then he was the least popular, then his party dumped him. But the pragmatic efficient way in which they levered him out for the good of the party stands in astonishing contrast to the ludicrous Hoon and Hewitt plot over here. Just a quick update on the most recent expenses claims publication. I’ve looked through about 39 MPs so far and claims are far lower than in previous periods. That’s expected because these claims relate to the six months after the scandal broke – meaning many MPs were shocked into putting the brakes on their spending. But eight of those MPs have actually claimed absolutely nothing – that is £0 for the cost of a second home from July to December 2009. Which begs the question; if they could claim £0 for that six month period why were they claiming money before? SITTING in his office holding a bin bag and looking a little over-awed by the mess around him, Ken Clarke somehow resembled a school boy who had been ordered to clean his room. His loyal secretary did nothing to dispel the impression when she asked, with just a pinch of sarcasm, whether he might like to open the two rather dusty boxes stacked against the wall. They had apparently been there since the Rushcliffe MP moved in, but now he was leaving his large office over-looking the Thames to go to the Ministry of Justice (MoJ). Click to read the full interview. There has been a lot of lip-service paid to “recognising why we lost the election” among Labour ranks. But there are a few MPs on the opposition benches who are actually pushing a more critical appraisal of the previous Government’s policies. 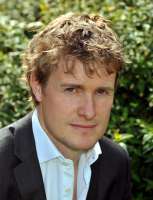 Among them is Tristram Hunt, the new MP for Stoke central, who I might add referred lovingly to this site as “that bloody blog”. 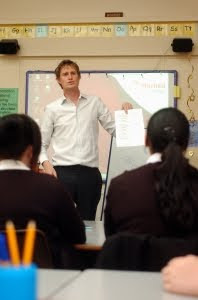 Two areas which he singled out were city academies and Labour’s 14 to 19 Diplomas. On academies he said Labour had made an “error” in neglecting to make them susceptible to Freedom of Information law. He freely admitted that there was a danger the schools could secretly force pupils into ‘easier’ vocational subjects in order to push up their league table standing. That’s something Labour’s shadow education team are still loath to admit – despite the previous Government making the initial move to bring academies under the FOI Act. Critically Hunt also suggested the 14 to 19 Diplomas – introduced by the last Government in a bid to keep youngsters in education – may be “short-changing” students. “I have a worry about the weighting of diplomas and their equivalence to GCSEs. 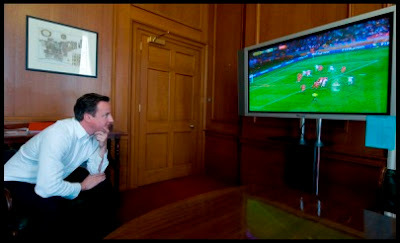 It seems to me that you can get an awful lot of GCSE credits for the qualifications," he said. It’s unclear whether many of his colleagues on the Labour benches would openly agree with Hunt on this issue. What they should know is that unless they speak out, like Hunt, on specific policies they think need reviewing, the public won't believe they're conducting a proper analysis of their defeat.